Pause the film on the image above at 1 second. What is Lily thinking/feeling? How do you know? 23 secs: What would she think now? Can we think of any rhetorical questions? 37 secs: How is she feeling now? Stop the film at 46 secs: How does the director show that time is passing? We see the girl watching the man over and over again. 49 secs: Why is the bench positioned where it is? Do you think the man sits there for a long time or often? 1 min 1 sec: What do you think she has in the envelope? What would you write to the man on the moon? Repeat this activity at 1 min 37 secs and discuss happy thoughts. 1 min 52 sec: What do we see? How is the man feeling? Why does he feel like this? Meet Lily, the heroine of the latest Christmas advert from John Lewis. 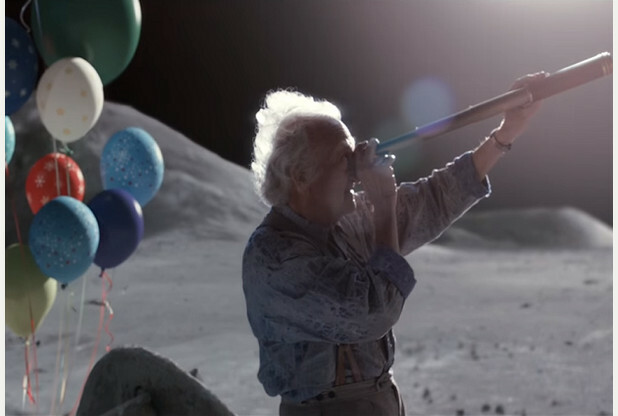 This year John Lewis have teamed up with Age UK to deliver a tear jerking, heart string pulling story about a little girl who spies a man on the moon through her family telescope. She sees that he is lonely and tries to send him a present in a variety of ways. Will she be successful? When you talk about love with young children they often think it means 'boyfriend and girlfriend' You could discuss the strap line 'Show someone they're loved this Christmas' What does this love mean? Does it mean kissing someone? How can you show this? What if it was someone who lives far away? Rewrite the advert as a 3rd person narrative. Write the narrative in the 1st person as Lily, then convert to the old man in parts echoing her feelings. e.g. I couldn't believe my eyes, there he was an old man sitting right there on the moon. Sitting on a bench, looking all lonely and staring down at Earth. I couldn't believe my eyes, I looked through the telescope that had floated up to me and I saw a little girl looking back. Write the story about why the old man is on the moon. - Is he there through choice or was he left behind in the old Lunar missions. Create a news report with the headline: Astronaut discovered 50 years late. 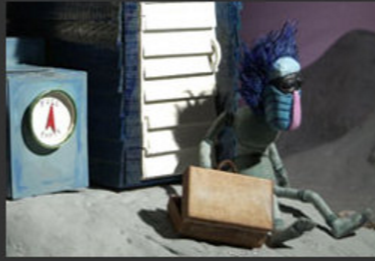 Write some diary entries for the man on the moon. Create Christmas cards to send to people in the local old people's home. Plan and run a charity event to raise money to buy some chocolates for the old People's home. Mrs Literacy Shed took her class each year to sing to the old people at a local home and they stayed afterwards to chat to the elderly people. Both the residents and the children enjoyed it immensely. Some additional resources by John Lewis on their site. Click the images to view the resources.